Whether it’s for work, education, or personal reasons, a temporary move overseas can leave you with the difficult dilemma of what to do with your things. While personal items like clothes, small electronics, and toiletries can be brought with you, what about larger things: furniture, art and home decor, book collections, televisions, bicycles, collectibles, or cars? If you’re only moving temporarily, it just doesn’t make sense to spend all the money to move these large items overseas. Additionally, you may be moving around a lot when you’re abroad, or living somewhere that’s already furnished. On the other hand, since you know your move isn’t permanent, you can’t justify selling or giving away your valuable belongings! You also don’t want to come back home and start from scratch. 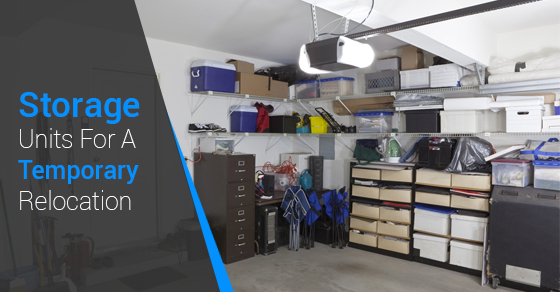 Luckily, there’s a convenient, secure, and affordable way to store these items while you’re gone–a personal storage unit! Our storage units at Jiffy Self Storage can accommodate anything from personal belongings like books, clothes, documents, and electronics, to larger things like cars, and furniture. You can rest assured of the security and protection of your items knowing we offer a climate controlled environment, a high level of security, computer controlled access, fire monitoring, flood damage control, premium and fine art storage and more. Organize items carefully: Avoid clutter by storing items in clearly labelled boxes, packing your unit neatly and safely, and keeping an index of everything you’ve stored. Pack smart: Keeping smaller items in plastic bins will keep them organized, and safe from any moisture. Pack your unit with the larger items in the back, and shorter in the front, so items are easy to retrieve. Declutter: While packing for your move, and packing for your storage unit, you may realize there are quite a few things you no longer need or use. Instead of cramming everything into your storage unit and dealing with it once you’re back, consider donating or selling items you want to get rid of. Look at your move as an opportunity to declutter your belongings! At Jiffy Self Storage, we offer flexible storage time, meaning you can store your items with us for as long or as short as you need to–no long-term contracts! We are also flexible in the size and type of storage units we offer. Contact us today, and together we can find the best option for you!